My first e-book, "The Something Great is always with us. Vol.1", is No.12 in the Best Seller Ranking in Spirituality section, Foreign books, Amazon.co.jp(Amazon Japan). My "The Something Great is always with us. 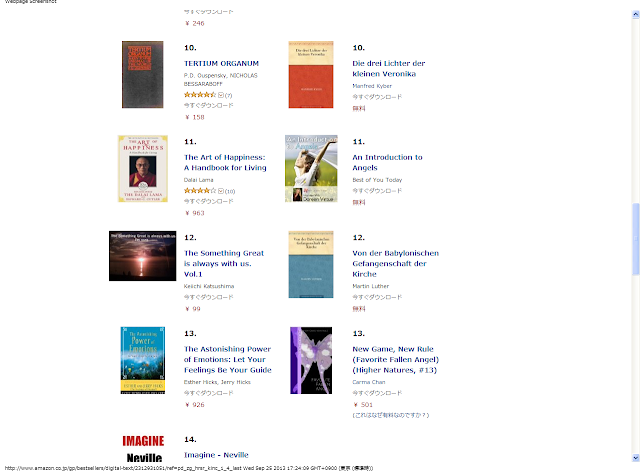 Vol.1" is next to "The Art of Happiness: A Handbook for Living." by Dalai Lama!